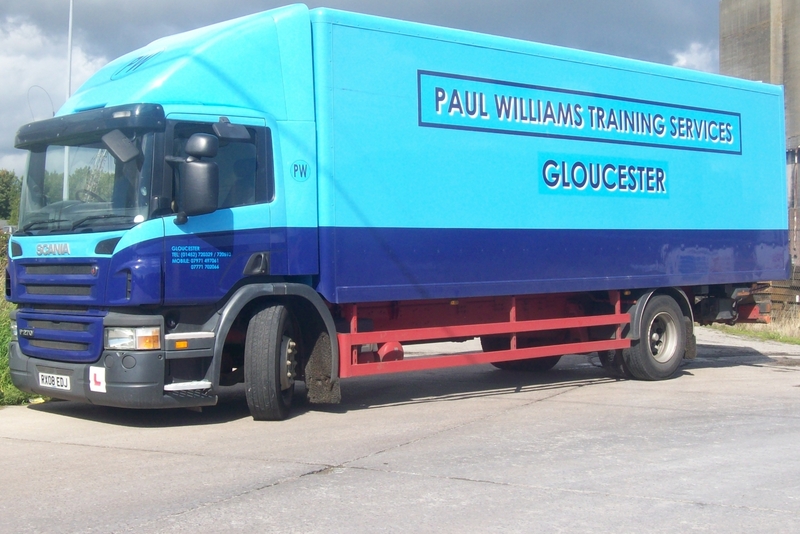 With Paul Williams Training Services you can be sure to find the CPC courses that you need to ensure that you are fully qualified to drive the vehicles you need to. We offer driver CPC courses and CPC periodic training to fit your needs, providing training for HGV, LGV and PCV vehicles. Our team have over 20 years of experience in the industry and work closely with you to make sure that you have the knowledge and skills to drive safely. We are a private Driver & Vehicle Standards Agency (DVSA) approved for the delivery of vocational driving tests. We offer a wide range of CPC courses to all of our customers located in the Stoke Gifford area, providing a training service that you can trust. Our staff are fully trained and committed to the delivery of courses according to your needs, working with you to develop a personalised training plan. CPC or the Driver Certificate of Professional Competence is a professional qualification in the driving of buses, lorries, and coaches. Passing this test ensures that you are safe to drive on UK roads and maintains the high standards of driving enforced by the police and the DVSA. To complete a CPC course you need a full car licence, be aged over 18, and to pass the test at the end of the course. Once successfully completed, you will also be required to undertake 35 hours of training periodically every 5 years to keep you qualified and safe to drive. If you cannot see a course listed above that you need, then please do not hesitate to get in contact with us today. You can fill in our online contact form or give us a call on 01452 720329. When it comes to learning how to drive a HGV, our specialist driving instructors can give you the best training possible. Our instructor Paul has been providing this service for over 20 years and has spent his time developing knowledge of the industry. As an RTITB Tachograph instructor, he is able to provide you with information about tachograph as well as your driving test. The lorries we use for training are Scania, one of the leading brands when it comes to HGVs. These vehicles are comfortable to train in and easy to get used to. If you decide to complete C+E category, then this is easy as the Scania lorries use the same cab controls. We have a large reversing area which has been specially designed to provide students with the right space to practice the skills they need. Any help or expertise you need will be provided and you can be sure to be prepared for the practical demonstration which forms part of the final test. We charge £20 for an assessment drive which lasts for around an hour and gives us a useful insight into the amount of training you will need. To do this, you must have a provisional which can be gained from the DVLA. We can provide these forms for you, all you need to do is give us a call and we will post them out directly to you. A medical is also required before you undertake the course and our onsite doctor works every other Sunday to help provide this for you. There is a typical charge of £40 for this service. Most of our lessons take place in four hours, giving you one-on-one time with your instructor. These run from 8.30 am until 12.30 pm and again from 12.30 pm until 4.30pm. Another service that we can provide is the training of coach drivers, giving you the key skills and confidence you need to drive safely. The bus that we use to train and test you in is a 55 seater, 12 metre long coach which has a manual 6-speed gearbox and large v8 Mercedes engine. Training for this course requires a provisional and medical test, forms for which can be gained through us. We use 4 hour lessons to help give you the skills you need to pass and an initial hour long assessment will give us an idea of what you know already. Once this has been completed, we will develop a plan to help get you the qualification you need. Our bus is also able to tow a trailer and a camera has been fitted to the trailer, giving you greater observation and making it easier for you to park. Located in the suburbs of Bristol, the area of Stoke Gifford has a population of around 15,500 and is close to Bristol Parkway station. While in the area there are several places to visit, including the Oldbury Court Estate, St Michael’s Church, and the nearby Three Brooks Lake. Our training is available for those in and around the Stoke Gifford area and includes a range of CPC Courses. To find out more about the training and courses that we offer, please do not hesitate to get in contact with us. You can give us a call on 01452 720329 or fill in our online contact form.